Welcome to March 2015 edition of In My Kitchen hosted by Celia from Fig Jam And Lime Cordial. It is amazing that March is here. I have been so busy, and we have been enjoying the most amazing summer. As it was too hot to be in my kitchen for a couple of weekends, I took time off from cooking for my blog. It was quite enjoyable to have nothing planned but I am back into recipe testing and developing. Using my digital thermometer I have been tempering chocolate and so I bought some acetate to make some decorations on. It is re-usable so an A4 size piece was all that I need for now. Le Creuest had a sale, and I could not resist these bean pots. I have not yet found a use for them but I am sure that won’t take me too long when the weather cools down and we start eating comfort food again. 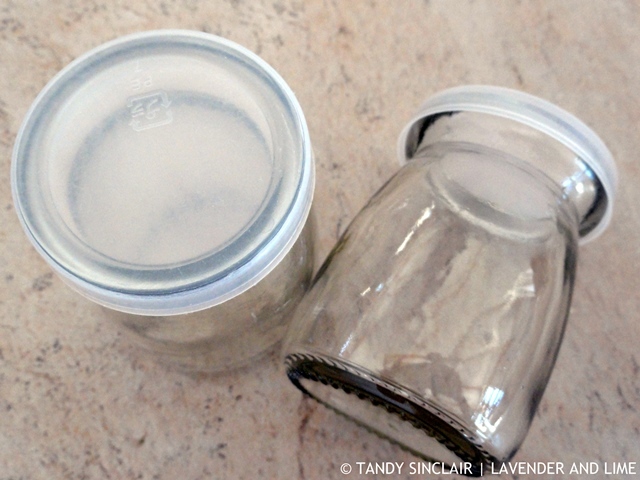 I don’t prop my blog photographs but I do like unusual and interesting containers to use to showcase what I have made. I found these cute little pots at Friedman and Cohen – a bloggers paradise if you are looking for anything unusual and interesting. I know exactly what will be made to go into these – watch this space! 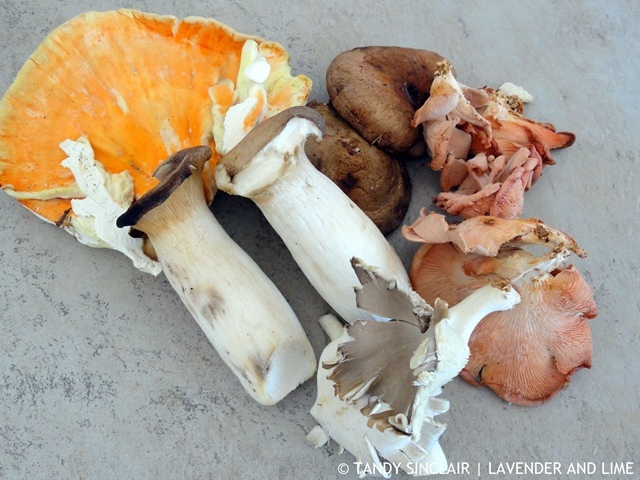 Dave and I went to the Lourensford Harvest Market and I came home with these amazing mushrooms. I made a mushroom risotto for dinner and it was delicious. My piping skills leave a lot to desire, and I very seldom bother piping, but, being a bit of a neat freak I could not resist this set of nozzles. 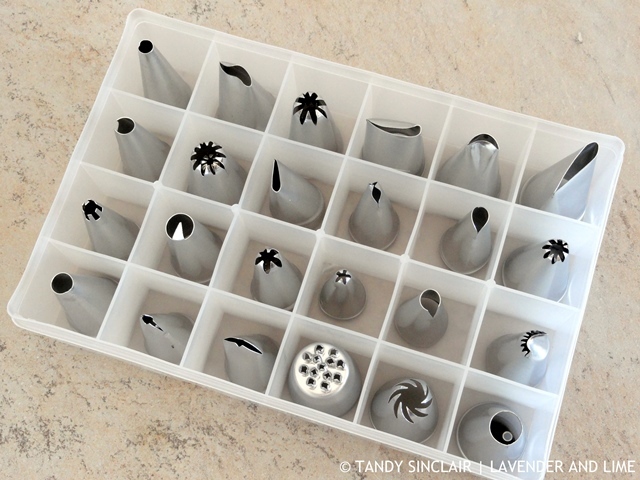 I have put my existing nozzles into the container as well – and amazingly, I have no duplicate sizes! WOW, who knew there were that many piping tips available? Piping intimidates me, so I doubly admire bakers who master the art… or want to. Love the bright red little bean pots for their bright, cheery attitude. Love the bean pots, and I agree, French onion soup would be fantastic in them. Beautiful mushrooms as well, I’m sure the risotto was delicious. I always enjoy peeking into your kitchen, Tandy! Oh Tandy those bean pots are so cute!! I imagined french onion soup with a big cheesy crouton on top grilled in the pot….mmmmm can’t wait for winter warmers!! That onion soup would be a winner for me! 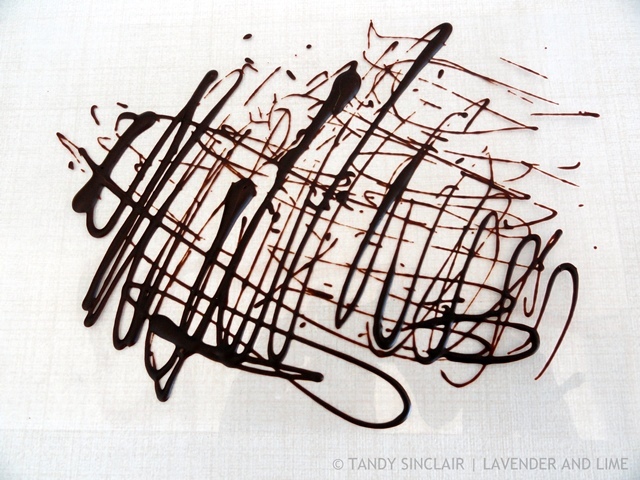 Hi Tandy, learning to temperate chocolate seems much harder than it looks, great gadgets in your kitchen this month for sure!!!! 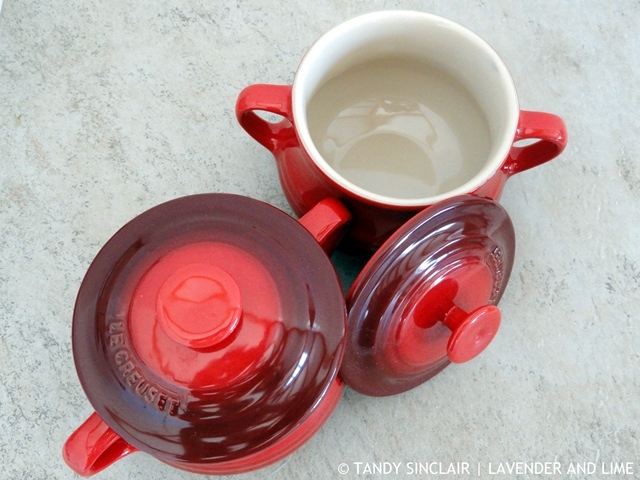 I love those little Le Creuset pots!! SO cute. Great selection of funghi- perfect for a risotto. What a variety of mushrooms – and wow – those nozzles – that’s what I need to take my non-existent piping skills to the next level! Hopefully the nozzles do that for me! I need a new kitchen scale!! They don’t seem to last sadly. This piping accessories are fantastic. I would love to pipe up a dessert, never have before! Been watching The Great British Baking Experiment and I love watching all those seasoned bakers pipe. Your “Shrooms” are quite impressive as well. So pretty! Never seen mushrooms like that before. Can only imagine it being to hot to cook! Ha. So much snow here can’t get out the front door and it’s not letting up anytime soon. afternoon Tandy. I always enjoy the In My Kitchen posts – always plenty to enjoy. Those mushrooms look particularly good and I bet tasted amazing too. Always so many lovely things in your kitchen Tandy. 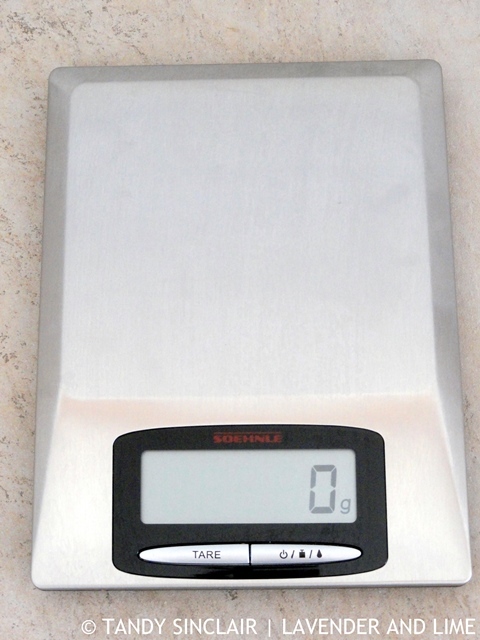 My digital scale must be one of the first they made and is still going strong with the original batteries too. Oh, love the look of those mushrooms Tandy and I adore mushroom risotto.